On December 30th 2018 (2 days after my birthday and two days before New Year’s Day) I had the delightful experience of eating a delicious & filling Yoruba dish called “efo inyan obe ila” (pounded yam with vegetable). 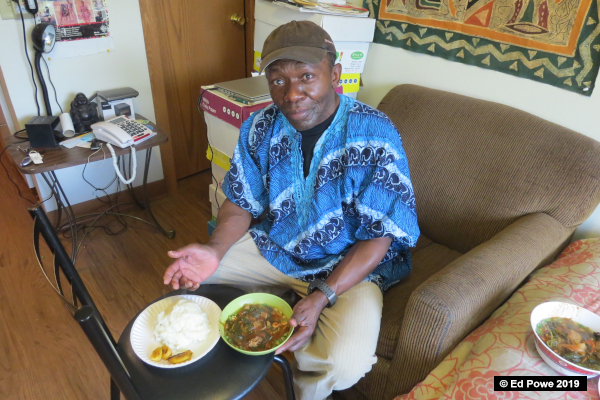 The meal was prepared by a Yoruba man who has been living in the US for years, but he hasn’t forgotten how to prepare native dishes. 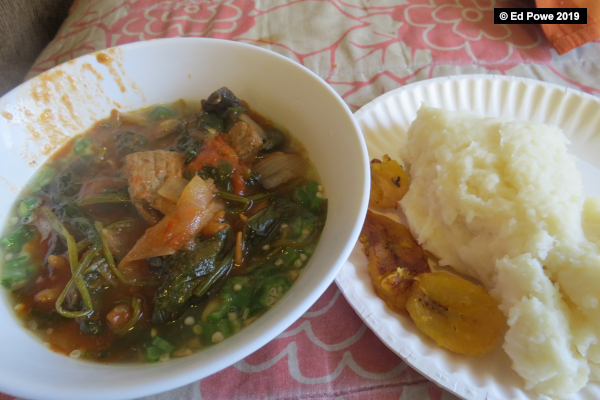 Ingredients – pounded yam flour; spinach, tomatoes, tomato paste, okra, onions, mushrooms, dried shrimp; plantains; chili pepper, sea salt; and beef. Note that you can use chicken instead of beef. Description of Ingredients and quantity needed. Preparation– Cut meat and onions for cooking as shown below! Put these in a large pot; add salt and water and set on stove! Then prepare the tomato paste as shown in the video below. 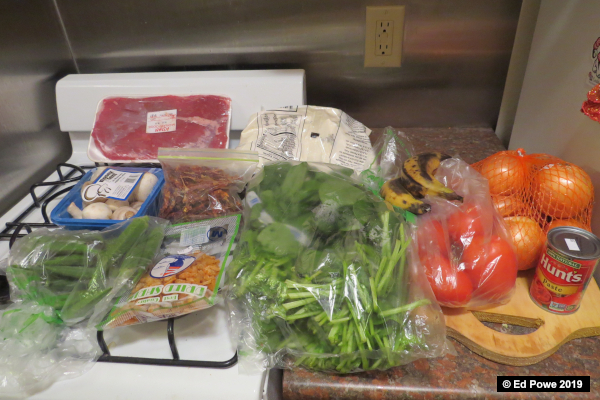 Cut spinach, tomatoes, okra and mushrooms as shown in the video below! Add pepper, tomato paste, and a little bit of shrimp to the pot of meat as shown below! As you wait for the meat to cook you can make the okra soup and add tomatoes to the meat. Add salt and the remaining dried shrimp to the boiling okra and add the spinach and mushrooms to the pot with the meat s shown below!. 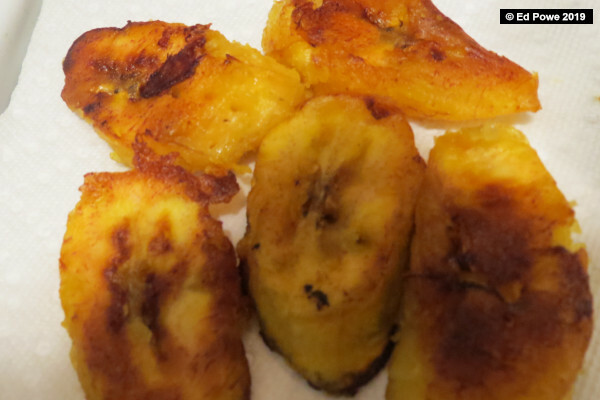 Peel and fry the plantain until they are golden brown as shown below! You are now ready to make fufu (the pounded yam) as shown in the following video. Consummation – Put the okra soup in a dish, pour the meat sauce over it, and place the fufu and plantain in your plate. Eat with your fingers dipping the fufu in the sou or use a spoon if you like. Enjoy! It is even more heavenly when accompanied by a tall glass of sweet red wine.